How an entire African village’s need for clean and safe water united employees of FieldCore, a client and a vendor into one awe-inspiring team. While access to safe, clean drinking water is recognized as a fundamental human right, this has not been reality for the people living in a local village near the town of Kome in Chad… until a crew of FieldCore field staff came to work. The village, quite some distance from the capital of this landlocked African republic, had no easy access to potable water (water that is safe to drink or to use for food preparation). When villagers required water, they were forced to embark on a half-mile roundtrip to a shallow water well that was not potable – increasing risks of disease and to health. 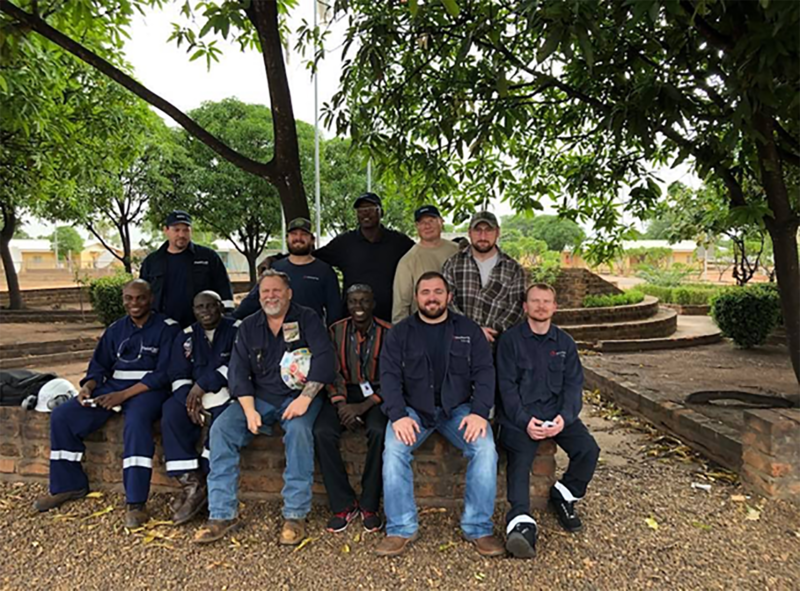 In May 2018, a FieldCore North America (NAM) Craft team mobilized a nightshift crew to a petrochemical client’s site near Kome to support maintenance of their equipment. While on assignment, they took it upon themselves to join forces with two of the client’s employees (who volunteered in their personal capacity), and a 3rd party vendor employee, to make a real impact in the lives of the local villagers. 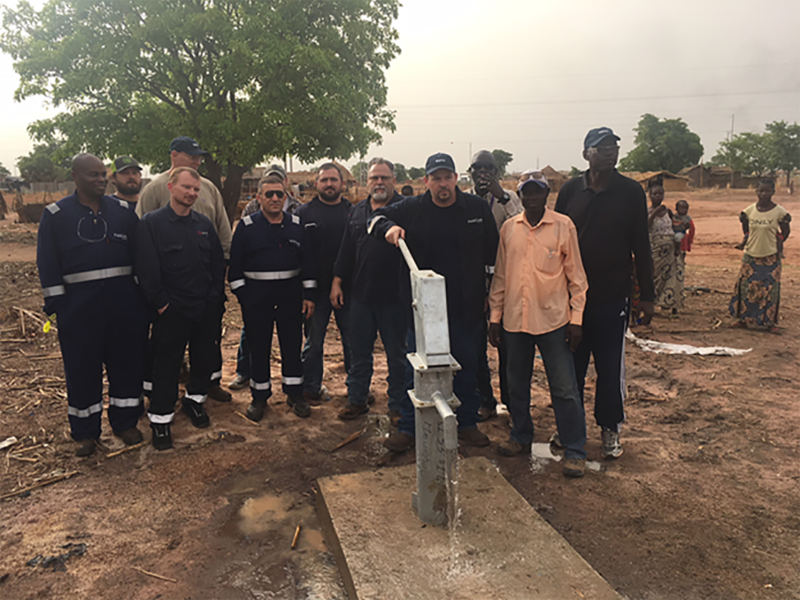 The NAM crew, led by FieldCore Craft Supervisor, Richard “Eric” Gallant, managed to raise $1,600 of their own money while also offering their personal time in managing a project designed to dig and install a brand-new water well and hand pump system for the village. The crew that funded the project include: Eric Gallant, Stewart Wells (TA), Lonnie Bell, Wayne Aspinwall, Elmer Crowden, Randall Mauldin, Conrad Ward and Robert Raby. According to Eric “none of this could ever have happened” without the support of our client’s safety representative – who acted in his private capacity as interpreter with the village elders, and also introduced the client’s environmental rep who offered guidance on the process to obtain necessary permits for the well – and the help of a crane subcontractor’s crew member (instrumental in getting village leaders to the table to discuss the plans), other scaffolding team members, and the rest of the FieldCore nightshift team, as well as dayshift crew who all played a part in some way. For many of the NAM crew it was an eye-opener to see local residents’ struggle for life’s basic essentials such as clean, safe and easily accessible drinking water. To that point, the team committed to building the well, alongside the other volunteers. Getting necessary approvals (which required permission from the village leadership too) and a permit for the well were challenging to say the least. Yet, through the client’s two employees’ network of contacts, and that of other team members, the cumbersome process ended in success. All costs were covered by the nightshift crew, while the client’s environmental representative helped to get the water quality tested to offer residents peace of mind. The right thing to do: NAM Craft night crew members: Supervisor Eric Gallant, Lonnie Bell, Elmer “Pete” Crowden, Robert Raby, Conrad Ward, Wayne Aspinwall, and Randall Mauldin photographed with some of the villagers after completion of the well and installation of the hand pump water well. Apart from rooting Safety, Integrity and Quality into daily duties, social responsibility is another strand of FieldCore’s DNA that makes the company complete and exceptional. Mike Adams, President and CEO of FieldCore, says that besides covering the costs of this self-initiated project, giving their own free time in itself attests to the caliber of employees in FieldCore. Many people take fresh running water for granted. 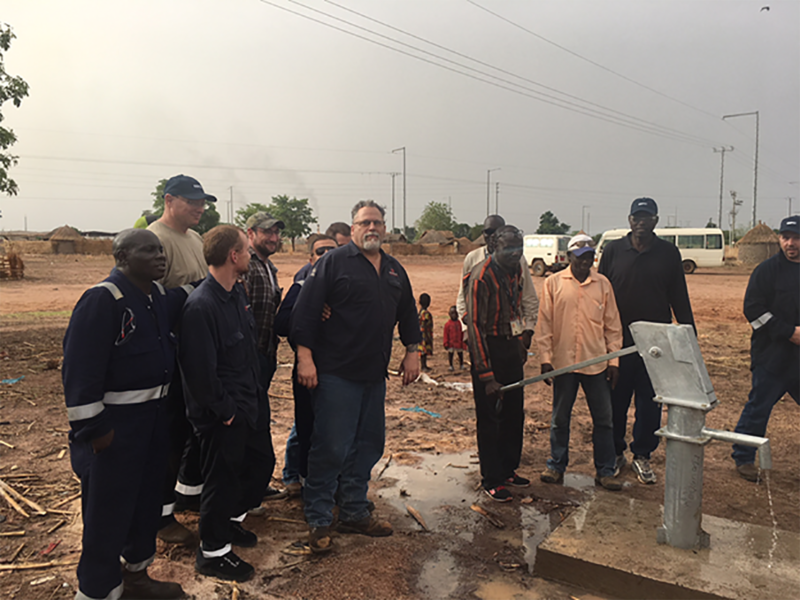 For the villagers near Kome, the newly-installed well is making a world of difference and an incredible impact on their lives. “Companies are not simply a brand or a legal body. The character of a company is defined by its people and their actions. It makes me proud to work alongside individuals who take the initiative to help those who are less fortunate,” comments Amir Hafzalla, FieldCore RGM for Africa, India and Middle East. 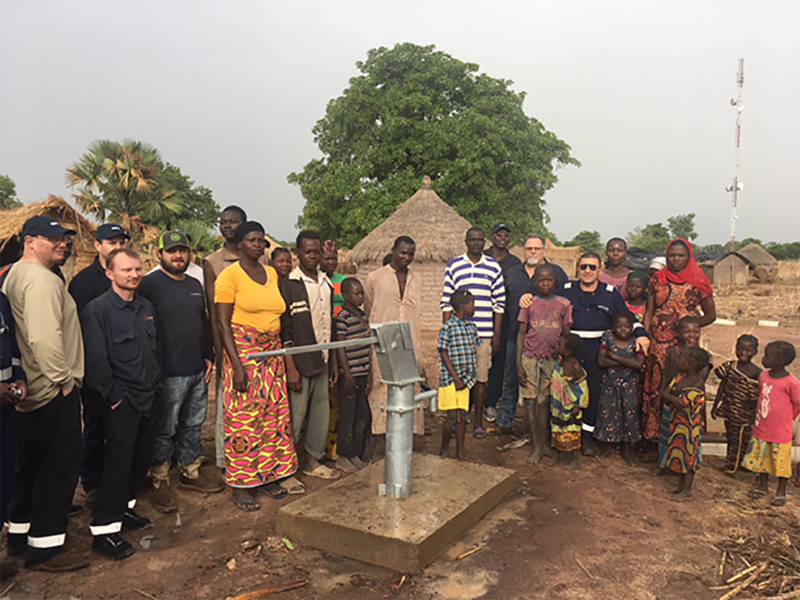 Villagers showed great gratitude for the completion of the well, and apparently there was not a FieldCore employee with dry eyes when members of the village thanked them personally. Primitive: Not as many parts as a turbine… but it works. Water on tap: one of the village’s residents trying out the new hand pump water well. The NAM and some of the local Chad team members.